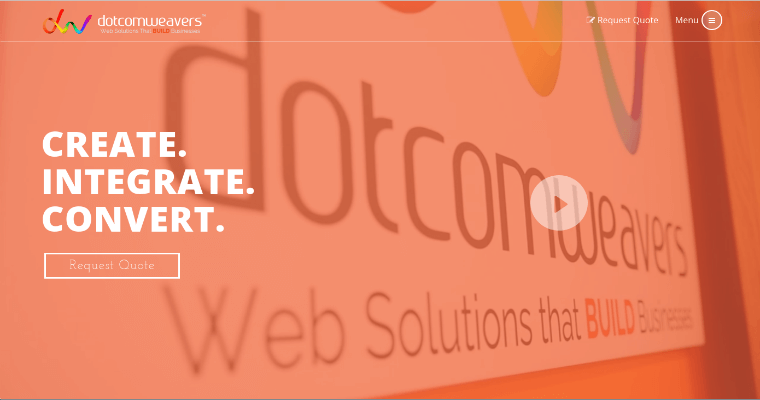 Dotcomweavers, hailed for its progressive work in web design, uses the latest tools to develop progressive websites that get results for clients of all kinds. With 300 projects under its belt and counting, Dotcomweavers operates as a team that values one-on-one work with each client to explore project goals. The focus settles on design, development and implementation of web sites, but the skill set reaches into other areas as well. 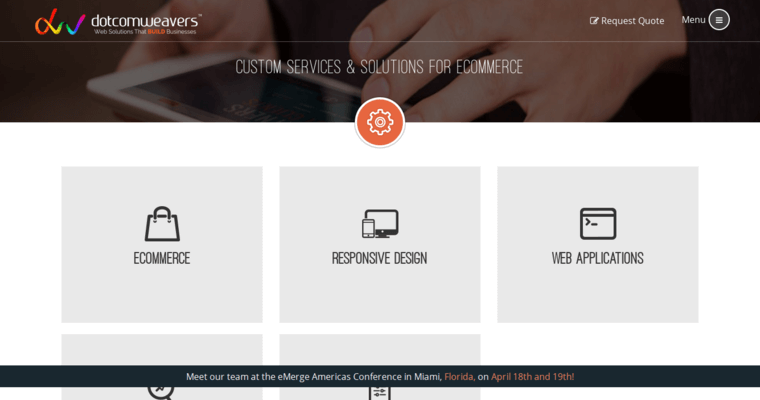 Those services range from ecommerce and payment gateways to web design and third-party integrations. 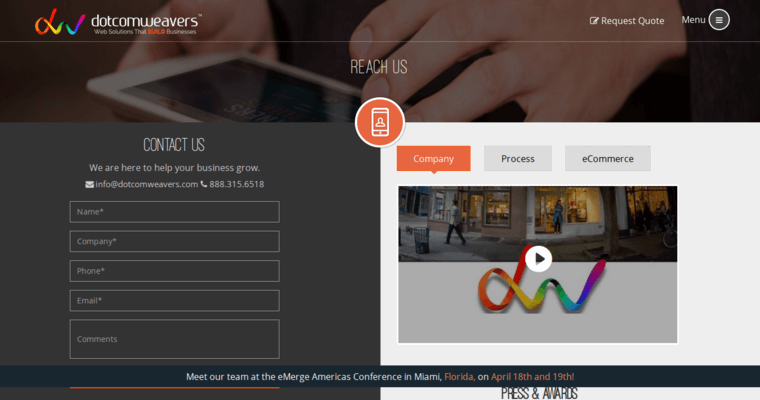 Other specialties include web apps, CRM, ERP and shipping. Offering award-winning design and development, this New Jersey-based firm offers free, no-obligation consultations that bring clients and website design consultants together on a collaborative basis. Team members rely on a thorough process that begins with business case evaluation and proposals, then works through to solution design, development and testing, implementation and go live, and ending with continued support and maintenance.